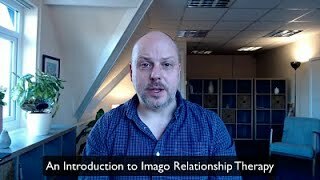 This is the official introductory course designed for therapists interested in training in Imago Relationship Therapy and who want to experience the model. For an explanation of what Imago Relationship Therapy is, click here. The course introduces the key ideas of Imago Relationship Therapy and over the two days teaches how to use the Imago Dialogue process with clients in full. The dialogue process is a solid and profound way of moving your clients into connection whilst providing safety for both you and them. What is an Imago Relationship Therapist? The training is delivered by Ian Tomlinson, an Advanced Clinician in Imago Relationship Therapy and Certified Workshop Presenter with many years experience of working with couples. He facilitates the Basic Clinical Training in Imago Relationship Therapy with Dr Sophie Slade and delivers both ‘Getting the Love You Want’ and ‘Keeping the Love You Find’ workshops with his partner, Joanna Groves. How much does the training cost and how do I sign up? The course costs £250, a £150 non-returnable deposit with the balance of £100 to pay two weeks before commencement of the course. To sign up simply fill in the form below. By clicking the box above you agree that £150 of this payment forms a deposit for this course and is non-refundable. The total amount becomes non-refundable three weeks before the course starts. Dates of forthcoming training can be found in the adjacent column. The course takes place at The Affinity Centre, Cheadle branch. See full details of our location. The cost of the training for two days is £250. This is divided into a £150 non-returnable deposit and a final payment of £100 due two weeks before the commencement of the course. If you have any questions about this course, please don’t hesitate to get in touch via our contact form.